Flint Group Flexographic Products is the first sleeve supplier to be qualified to manufacture sleeves in North America for the “smartGPS” system from Fischer & Krecke (F&K) Bielefeld, Germany. 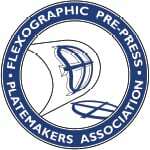 Now, North American customers can benefit from the short lead times and local service provided by Flint Group Flexographic Products. As all rotec® sleeves for the “smartGPS” system are equipped with an RFID chip and a register sensor, relevant data such as the actual print diameter, the actual job design, as well as the used materials can be recorded and stored during plate mounting. The data is then recalled in the printing unit, where the printing sleeves are moved fully automatically into the exact register and impression setting. As the traditional press proof is no longer required, material usage and set-up times are significantly reduced with extremely high register. The challenge for the sleeve production is to insert the sensor very precisely within tight tolerances. Extensive tests at F&K with rotec® Blue Light Sleeves demonstrate that they are even below the specified tolerances. As the sensor and the chip are inserted during the sleeve production process, both are located with exact positioning and protected from being damaged. The modification of the sleeve has no effect on the print result and the complete surface can be utilized for plate mounting. Installation of the “smartGPS” sleeve equipment at Flint Group’s facility in Arden, NC, ensures the fastest delivery of high-quality sleeves within North America. rotec® sleeves with “smartGPS” are obtainable in wall thicknesses up to 4”/100 mm, in all lengths up to 157”/4000 mm.